At the Council Meeting on March 4, 2014, the Council issued a resolution expressing support for the proposed bus and rapid transit route 4 line. Bus and Rapid Transit (BRT) option 4. For a closer look, see this link. The Council continues to do due diligence to exercise their fiduciary responsibility for the effective use of taxpayer resources by exploring additional research of the proposed routes. Full text of the resolution may be found here. 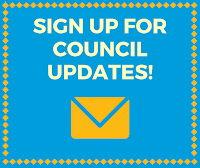 If you have comments or feedback for the Council regarding Bus and Rapid Transit, please contact your Council member directly here, or leave a comment on this article.